Augustine Omare Okurut is currently the Secretary General the Uganda National Commission for UNESCO in Kampala. He was educated in the 1960s at Agu Pilot School, St. Alyosius Demonstration School, Ngora and Nagongera Seminary for his Primary Education and Namliyango College in the 1970s for for the Secondary education. 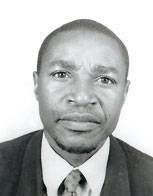 He graduated from the University of Nairobi with B.A Honors in Literature, 1978 and . MA. In Arts Administration from City University, London in 1987. He is a honoarary fellow of the renown International Writing Programmme (IWP) of the University of Iowa, (1984). His previous appointments include those of Culture Officer and Assistant Commissioner for Culture in the government of Uganda and Director of the Uganda National Cultural Centre/National Theatre. He has taught part time at Makerere University and serves on a number of committees and Boards of various cultural institutions and schools. His academic, professional and leisure interest revolve around culture and development, human rights, basketball, soccer and working with young people. As Secretary General for the Uganda National Commission for UNESCO, he has seen a number of cultural and education polices and international instruments passed. Key among these is the Uganda National Culture Policy. He has also seen a number of Uganda being awarded scholarship to further their education. He as also supported a number of educational, Artistic and Cultural Projects. Augustine, is also a published Poet with Anthology, Songs of Rage Published in 2008.